"I was carrying a total of nine passengers and six of them were injured and ferried to hospital together with the two vendors. "I had not engaged the handbrake so I managed to have some control over the vehicle for the around 40 metres that we got moved by the impact of the crash. If I had parked the car with a handbrake, I am sure we could have been squashed inside," said June. "There was an oncoming truck which was being disturbed by a cow in the middle of the road. 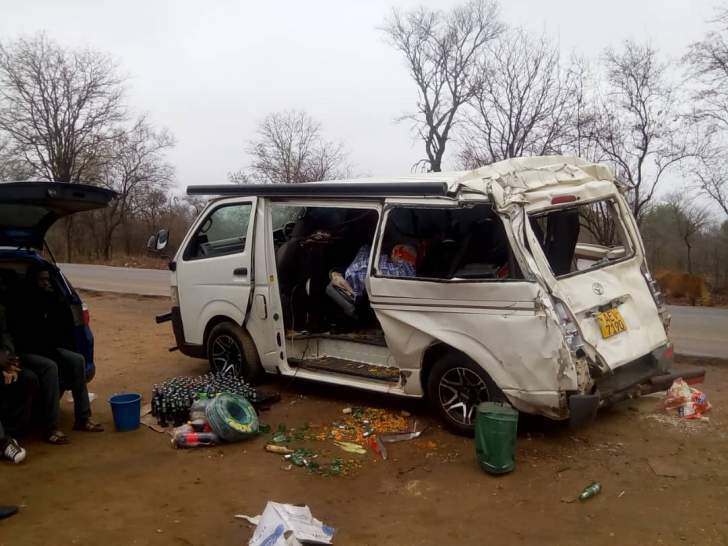 To avoid a head-on collision, I slightly went off the road and as I tried to move back onto the road, the trailer did not fully comply due to the load, resulting in the accident," said Hamandishe.